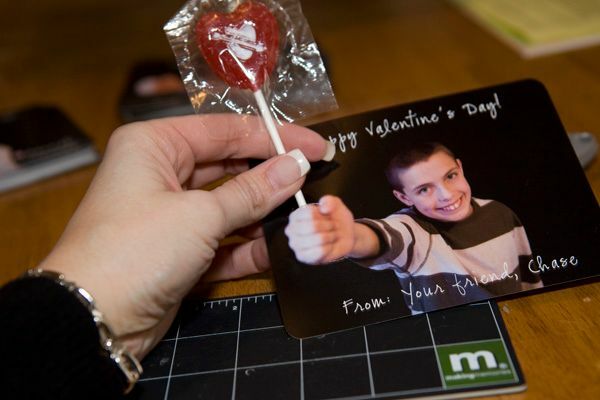 Question: What do valentines and a blatant marketing ploy have in common? Remember when I shamelessly stole these from Alyssa last year? Yep, you guessed it. I'm stealing them again. And the entire time I am making them, I cannot help but wonder at the genius that is Alyssa. Seriously. These are the bomb. For the creatively challenged (like me), I thought I would include step-by-step instructions should you decide to steal the idea yourself. 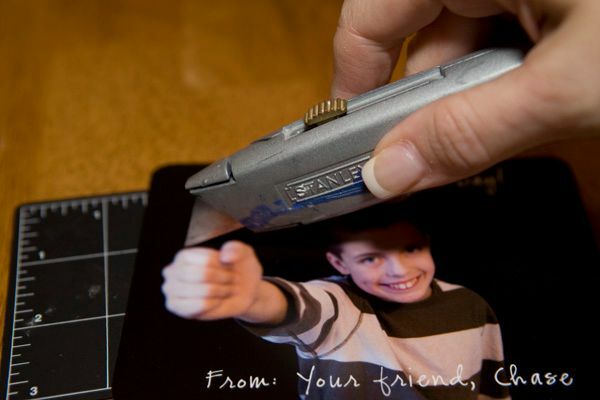 Step One: Take a photo of your child holding their hand out in a fist. Do not worry excessively what the child is wearing or looks like. 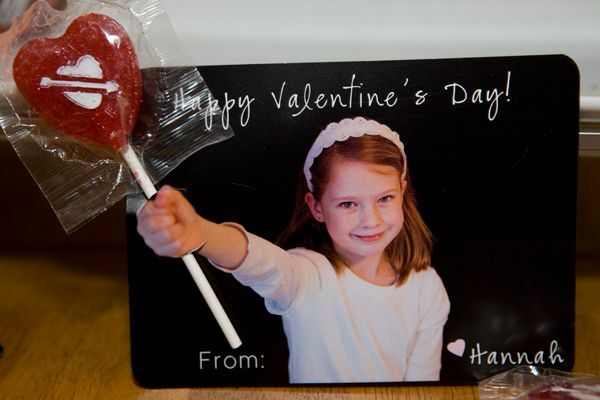 After all, these photos are going to be handed to a bunch of sticky-fingered kids on Valentine's Day. Add your valentine's day message in photoshop or other similar program. 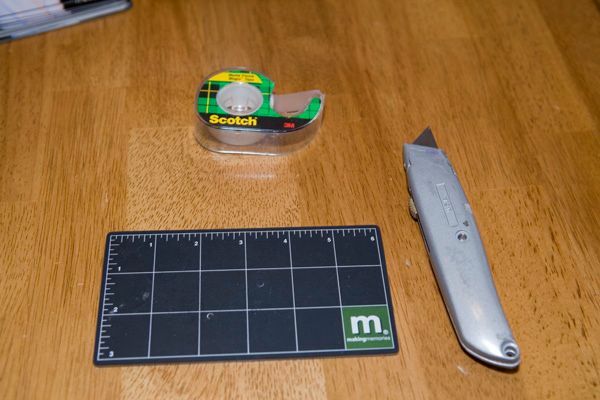 Step Two: Take the x-acto knife and cut a rounded slit above and below your child's hand in the picture. Step Three: Insert lolly-pop of your choice carefully into the slits. Swear under your breath if you accidentally rip a couple. Be glad you ordered a few extras. Step Four: Secure lolly on the back with a small piece of tape. Step Five: Admire your handiwork and, for the billionth time, thank god for Alyssa and her creative genius. **And for you St. Louis peeps, I've got an offer for you. Or a shameless marketing ploy. 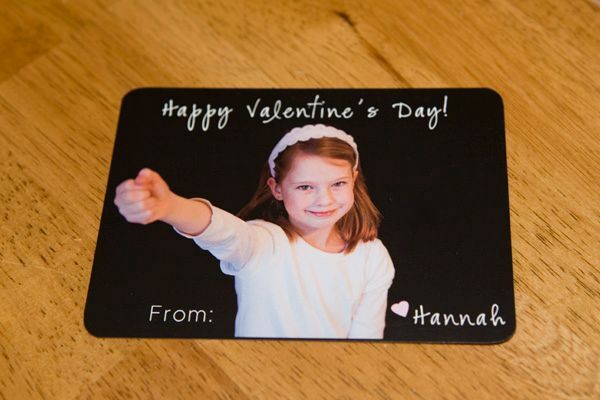 Call me this week and I will come take pictures of your kids for free, add the lettering of your choice, and order the press printed cards for you at MY COST (which, let me tell you, is about what you'll pay for the crappy princess/transformer cards at Target). The only thing I ask is that you let me put my logo and website on the back of the cards in small print. You know. Getting my business out there and all that? 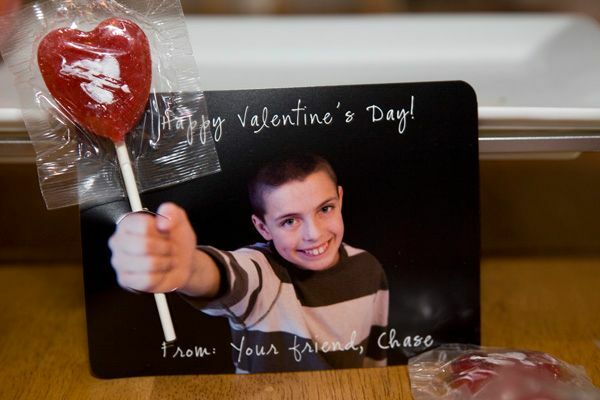 Plus you can brag to your friends how you had your kids' valentines done by a professional photographer. And be sure to pretend that you have a chef and a live-in masseuse, too, while you're at it. Just so they'll be impressed. We have to act fast, though. We need to have this done before Friday to give the printer enough time to get the cards shipped and back in our hot little hands. For the rest of you - happy crafting!